(Long Island, NY) Former U.S. Senator Alfonse D’Amato today endorsed Chele Farley in her bid for U.S. Senate against incumbent Senator Kirsten Gillibrand. “Chele Farley is the best chance we have had to win back this seat in over twenty years and I’m proud to endorse her candidacy,” said D’Amato. Chele Farley is running for U.S. Senate against incumbent Kirsten Gillibrand. Photo Credit: Chele Farley for U.S. Senate. With a reputation of delivering for New York, “Senator Pothole” as he was affectionately known, was the last New York Republican to represent the Empire State in the Senate. D’Amato applauded Farley’s focus on delivering for New Yorkers, which is in stark contrast to his opponent Kirsten Gillibrand. “New Yorkers should join me in supporting Chele Farley because she is focused on the right things — bringing back the federal funding we need to fix our crumbling roads, bridges and subway and creating jobs,” said D’Amato. 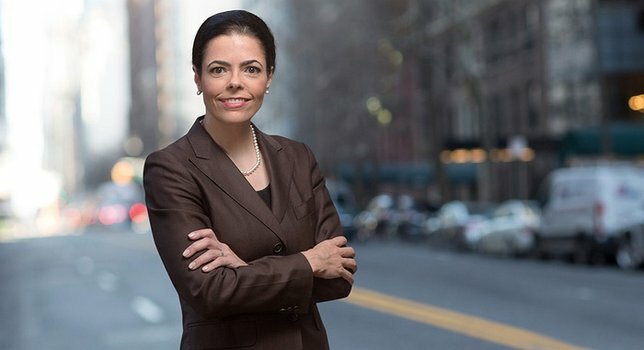 In announcing his endorsement D’Amato, who endorsed Gillbrand in her first term, noted the Senator’s lack of focus on issues critical to New Yorkers.